We are delighted to be able to confirm that we have now secured an important 3 year Framework agreement with City University. 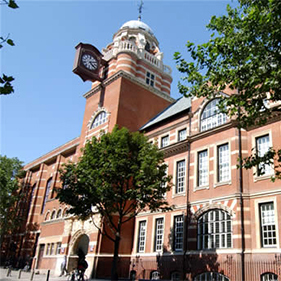 City University was founded in 1894 and aims to be the body of choice for business and the professions. The university now has almost 10,000 students of which 50% are post graduates. The new recently appointed Chancellor has great ambitions and plans for developing the university into an exceptional seat of learning and the development of the buildings and the creation of an outstanding environment in which to study is deemed to be crucial. This framework agreement will see us involved in a ‘partnership’ with the university delivering outstanding project outcomes across all its existing sites within Central London. Our exceptional service delivery when completing projects at the university in the last twelve months led to us being invited to tender for this three year agreement. Submissions, presentations and interviews helped to secure the contract that will play an important part in providing a constant workload platform over the next three years. We have set the bar high with City University, in terms of the projects we have delivered to date and the commitments we have made going forward.